Exercise… with wine as a reward; need we say more? The first Wine Walk to Warwick, which happened in April this year, was a wonderful success. People from all over Cape Town headed to Stellenbosch for a relaxing day of exercise and bonding over a glass (or five) of wine. The organisers have now decided to make it a monthly occurrence, and the next walk is on Sunday, 5 November 2017. The starting point (and registration venue) is the Dirtopia Cafe at Delvera Farm. Dirtopia, for those who do not know, specialise in organising trail runs and walks across the Cape. 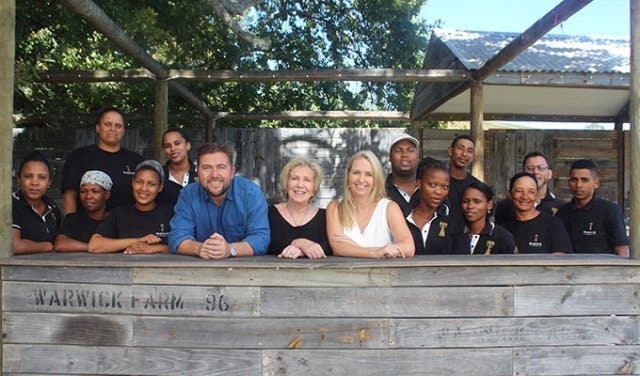 Their cafe boasts panoramic views of Table Mountain on the one side, and the winelands on the other side. Choose something fresh and wholesome from their breakfast or lunch menu. On the morning of the race, participants will be treated to coffee and a breakfast snack before they set off on the 6km walk to the neighbouring wine farm Warwick. 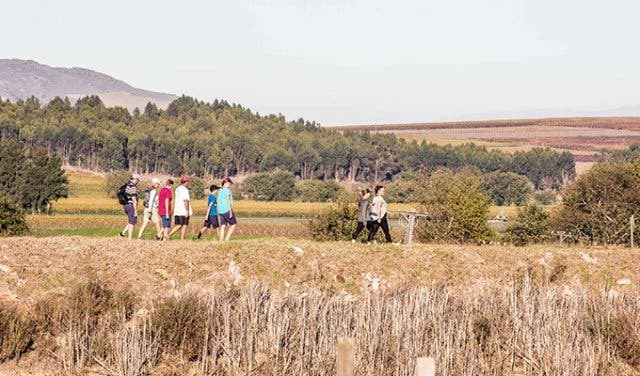 The walk itself will take you across Delvera Farm, through the vineyards and the beautiful scenery of Stellenbosch. Give this unique event a chance to charm you with its laidback appeal; after all, wine and walking in the sunshine sounds like a nice way to get yourself (and your family and friends) into an active summer mood. 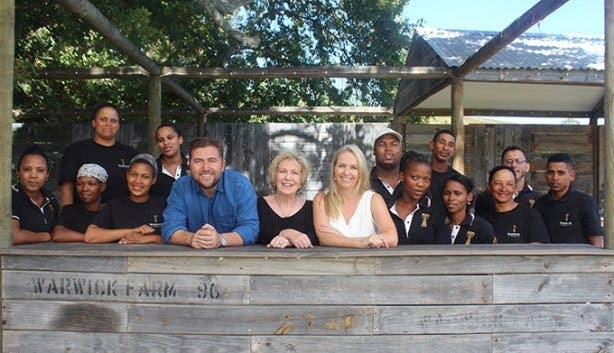 Warwick Wine Estate is well known for their First Lady range of wines. Walkers on the Wine Walk to Warwick will take a stroll across the estate and taste a variety of their wines. 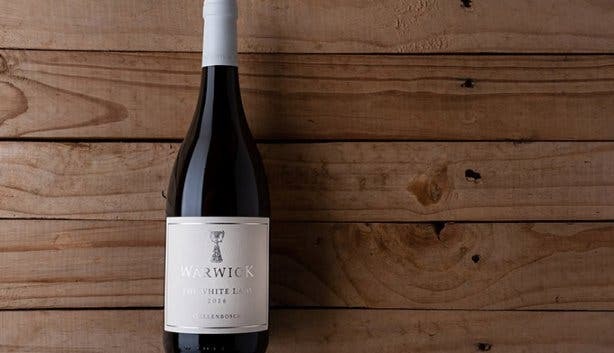 Fans of red, white and rose will all find a wine to delight their palate at the Warwick tasting room. 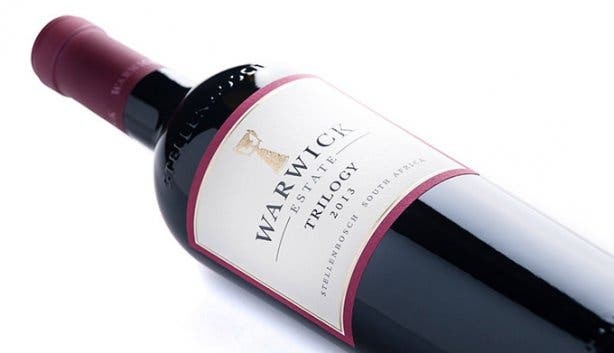 Warwick’s historic estate covers 110 hectares of prime Stellenbosch land and their viticulturist, Ronald Spies, makes sure that it’s well tended. Registration for the Wine Walk to Warwick takes place on the day of the event from 8am, with the event set to start at around 9am. Also make sure to note down Sunday, 9 December as the date for the December edition of the Wine Walk to Warwick. You can enter the Wine Walk to Warwick via Dirtpass.co.za. Simply register, pay your R225/p and get ready for a day of wine and walking in Stellenbosch. If you have any questions or queries, please contact the organisers directly on +27 (0)21 884 4752. 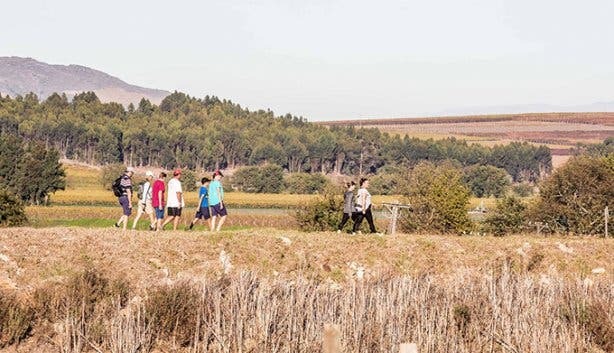 Walk the beautiful wine trails in Stellenbosch during the 2018 event, Wine Walk to Warwick. If you love wine and exercise, check out our pick of wine tastings, and running routes in Cape Town and surrounds.